The delegation of the Armed Forces of the Republic of Angola, led by Colonel Dr. Marlene Fonseca, paid a visit to the Military Medical Academy in the framework of the General Conference for planning the joint medical teams’ engagement of the Ministry of Defence, the Serbian Armed Forces and the Ohio National Guard. The delegation was received by Deputy Head of MMA Col. Prof. Dr. Dragan Dincic with his associates. 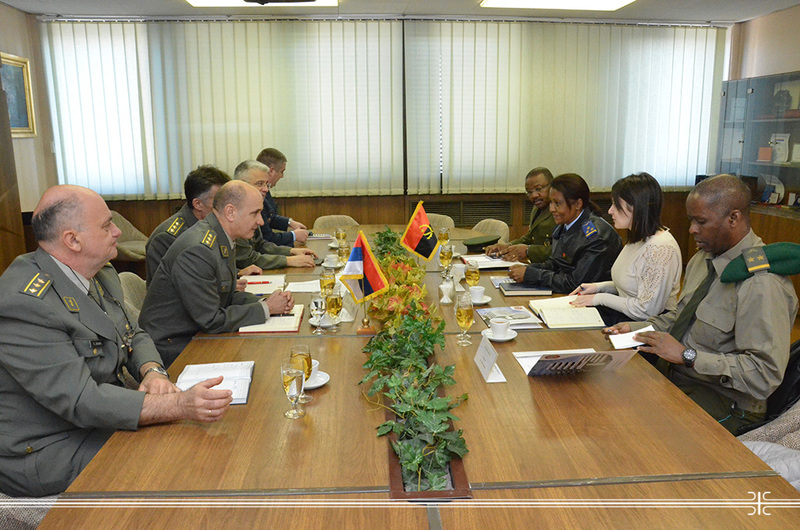 At the meeting, which was attended by Defence Attaché of the Republic of Angola in Belgrade Lt Col. Eduardo de Silva, guests are briefly informed about the MMA activities, but also the previous successful cooperation in the field of military medicine was discussed. The present study programs of the MMA’s Faculty of Medicine, University of Defence in Belgrade and different forms of education in the Military Medical Service Training center of MMA were presented as potential forms for the promotion of the international cooperation. The exchange of experiences between the two countries in the field of treatment of infectious and tropical diseases, as well as training of medical personnel in the field of emergency and aviation medicine, toxicology, and medical evacuation were the issues of particular interest. A delegation from Angola visited the Clinic for Anesthesiology and Intensive Therapy, Center for Hyperbaric Medicine, Clinic for Emergency Internal Medicine and Angiography room of MMA.